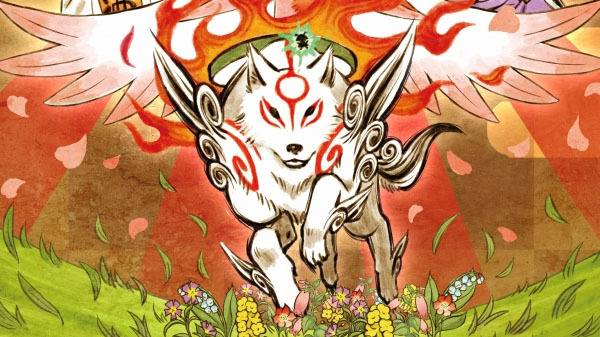 Okami HD will launch for PlayStation 4, Xbox One, and PC both physically and digitally for PlayStation 4, Xbox One, and PC on December 12 in North America and Europe, Capcom announced. It will cost $19.99 / £15.99 / €19.99. As announced earlier this morning, the console versions will launch on December 21 and the PC version on December 13 in Japan. The original game, released to critical and consumer acclaim in 2006, was hailed as one of the most beautiful games ever created, and this latest release with its renowned Sumi-e ink art style is now even more breath-taking as the graphics have been updated to take advantage of modern high resolutions. Okami HD will be compatible with Xbox One X and PS4 Pro whilst featuring stunning 4K graphics on Xbox One X, PS4 Pro and supported PC hardware.